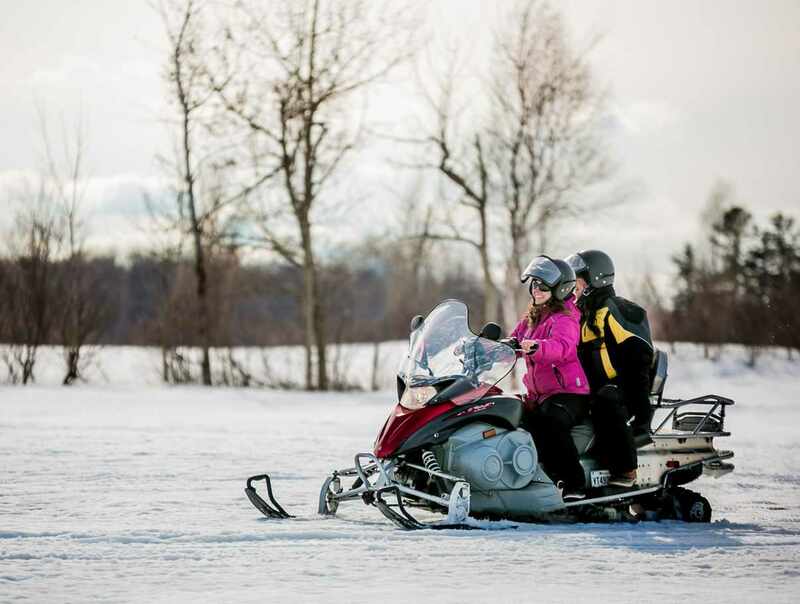 If you want to take part in an outdoor activity this winter that will get your adrenaline flowing, then a snowmobile ride is exactly what you need. Outings of 1, 1½ or 2 hours are available. Before you set out, we will give you safety instructions and tips on how to handle your snowmobile. Your guide will lead you across the island to admire the gorgeous scenery, which includes a breathtaking view of Mount Sainte-Anne and the St. Lawrence River.